Nattokinase and Serrapeptase from Solaray is a daily enzyme supplement that supports proper blood circulation. 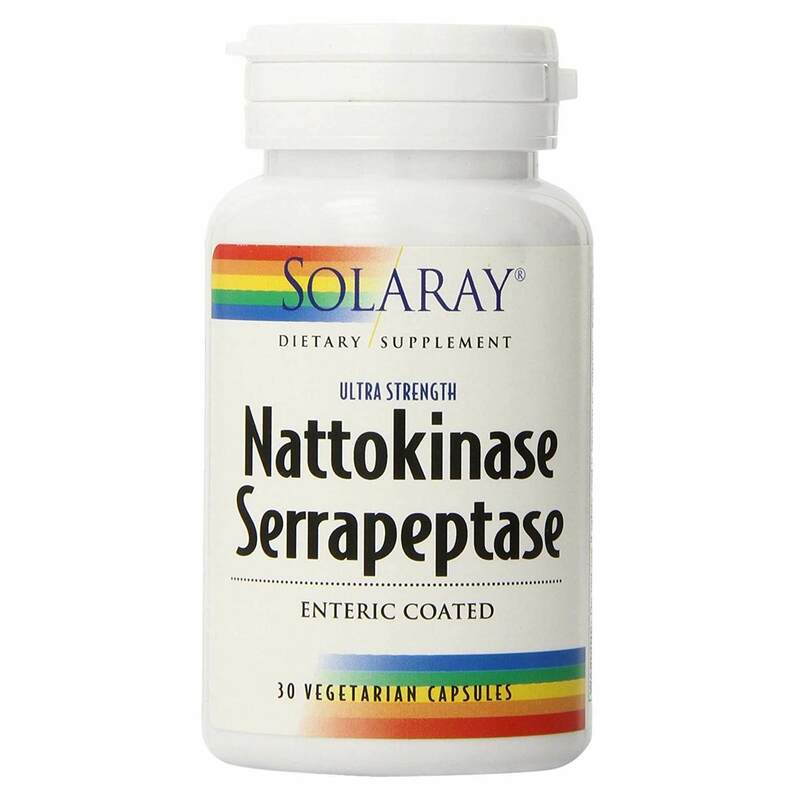 Solaray's Nattokinase and Serrapeptase is derived from plant sources -- the nattokinase coming from soybeans and the serrapeptase sourced from the bacteria Serratia spp. These two enzymes work together to support the circulatory system to maintain proper blood flow throughout the entire body. 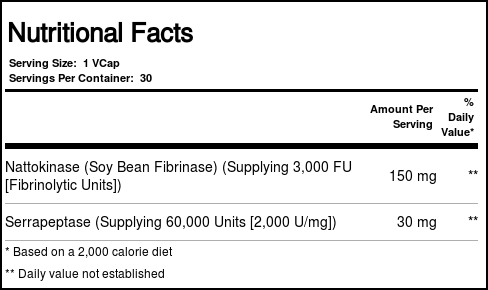 Just one capsule daily maintains healthy circulation. 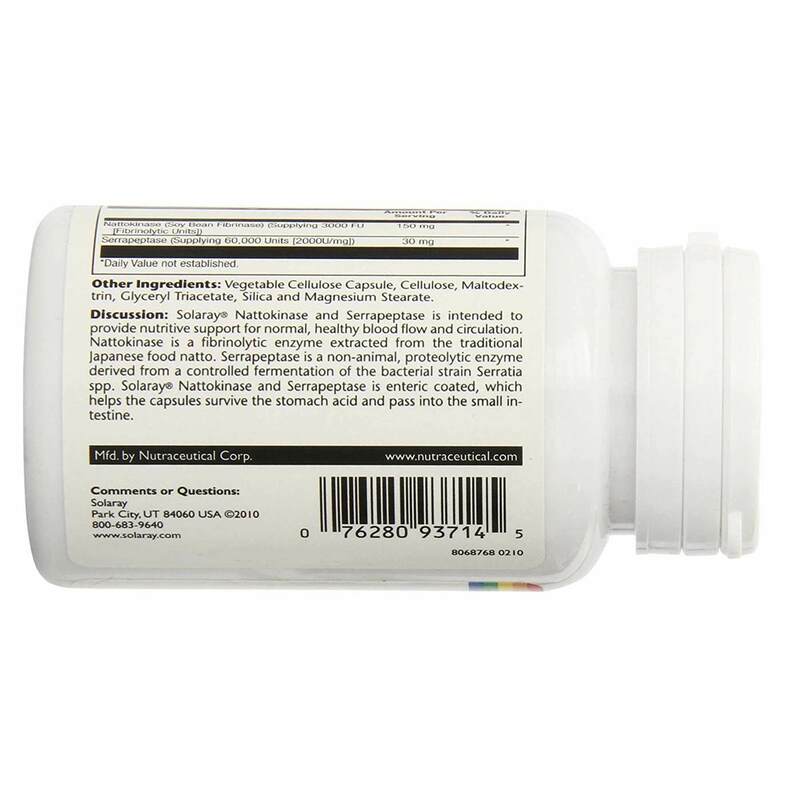 Nattokinase and Serrapeptase from Solaray is contained in enteric-coated vegetarian capsules that are able to pass through the stomach to reach the intestines for maximum absorption. Try it today at eVitamins! 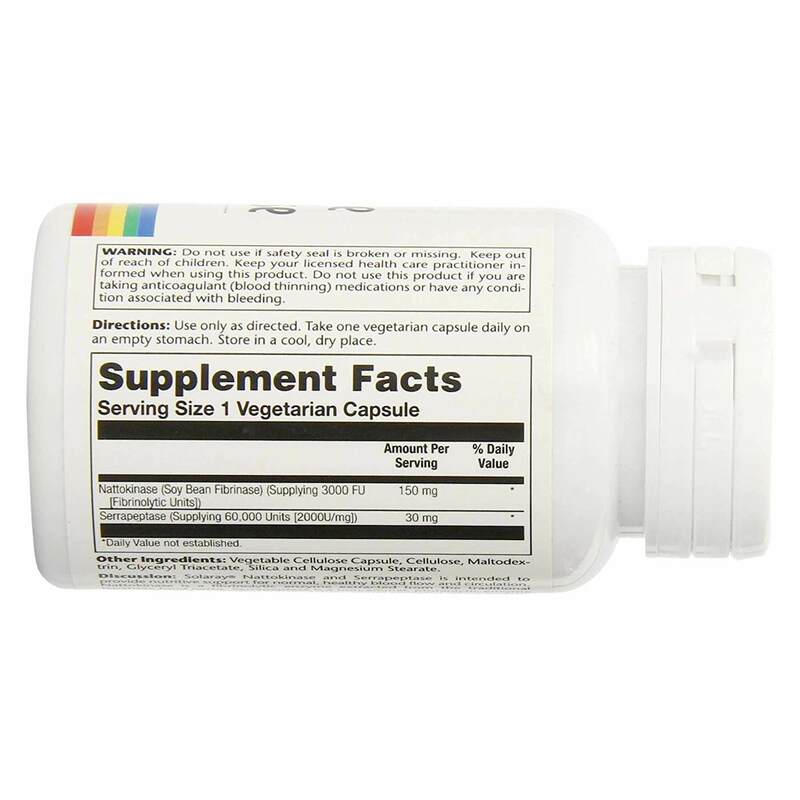 Recommended Use: Take one vegetarian capsule with a meal or glass of water.